Natural marble is porous and softer than other types of natural stone. When you have marble tiles in your home, you want to keep them looking their best. Having mold and mildew growth on your marble can be dangerous to your health and safety. Mold can cause respiratory infections and problems breathing. Mold becomes very slippery when wet, which could cause someone to slip, fall and injure himself. Marble is a delicate stone, and must be cleaned with products not containing alcohol or acidic substances such as common household bath cleaners, vinegar or lemon juice. When cleaned correctly, mold is easily removed from marble surfaces. Clean mold growing on marble easily with hydrogen peroxide. Pour three to four drops of gentle dish soap into a bucket of warm water. Stir the soap mixture with a long-handled wood spoon until soapy. Dip a clean sponge into the soapy mixture, and scrub the entire marble surface. Rinse the area clean with water, and use a dry cloth to dry. Do not leave any area wet, dry the entire marble surface. 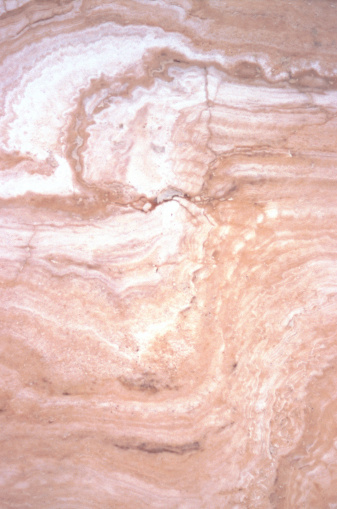 For large marble surfaces, you may use a hand-held squeegee to dry. Place gloves on both hands to protect them from the hydrogen peroxide. Pour 1/2 cup of 12 percent hydrogen peroxide into a bucket. Fill the bucket with one gallon of water. Stir the hydrogen peroxide and water together with a wood spoon. Dip a spray bottle -- with the cap removed -- into the bucket, and allow it to fill up. Twist the spray bottle cap on, and set the spray nozzle tip to spray. Dry the outside of the spray bottle with a cloth for easier handling. 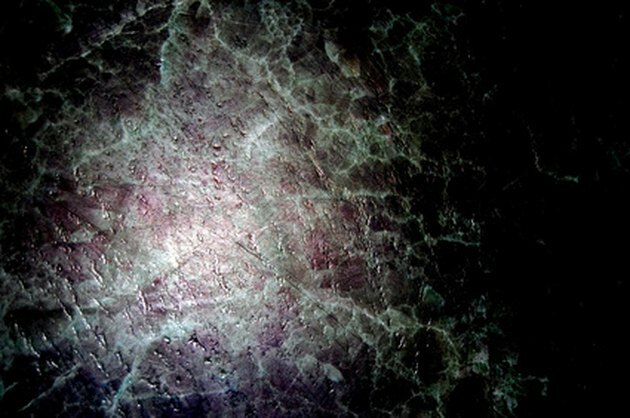 Spray the peroxide solution onto every area on the marble that has mold growing. Allow the solution to sit and penetrate the mold for 5 minutes. Scrape the mold away with a soft-bristled brush. Work in small circular patterns with the soft-bristled brush until all the mold is gone from the marble. Rinse the area with warm water. Make sure to discard all mold residue and particles from the marble surface. Dip a washcloth into the bucket of peroxide solution until soaking wet. Lay the wet washcloth over the area that had mold growth, and allow it to sit there for 20 minutes. The washcloth will allow the solution to penetrate deep down and kill the root of the mold growth. Remove the washcloth from the marble surface, and run warm water over the area to rinse away all peroxide solution. Soak the soft-bristled brush and washcloth in the bucket of peroxide solution for 30 minutes to kill all attached mold spores.